From engineers to artists, from scientists to coders, women and girls are learning, excelling, and engaging in STEAM (Science, Technology, Engineering, Arts and Math)! 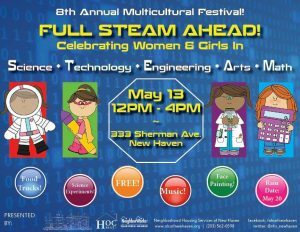 On Saturday, May 13, Neighborhood Housing Services of New Haven will host our 8th Annual Multicultural Family Festival, Full STEAM Ahead: Celebrating Women & Girls in S.T.E.A.M. The festival invites families and children of all ages to explore hands-on activities, exciting games, and inspirational performers geared toward highlighting professional women in S.T.E.A.M. Bringing neighbors an opportunity to come together, build community, and have fun, NHS invites you to experience different careers led by female professionals and learn about how to encourage girls’ interest in STEAM. NHS strives to provide a space for people of all ages to enjoy and celebrate all that New Haven has to offer. 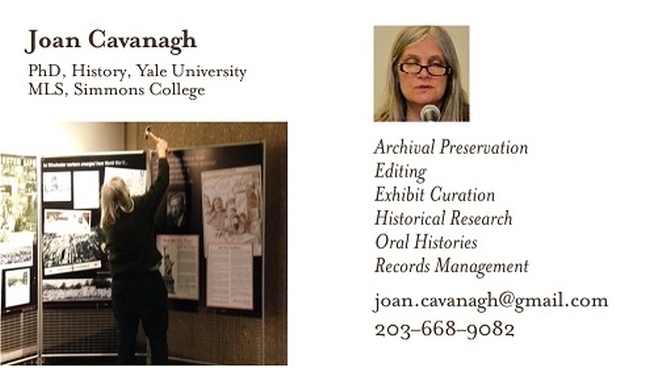 Admission is free and includes games, food, and activities. 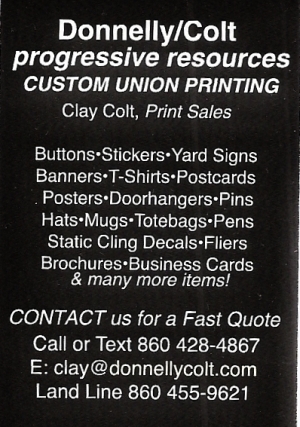 For more information, visit our Facebook event: http://www.facebook.com/events/1143219752454569.